McLean, VA – October 1, 2018 – CORAS, a pioneer in Work Management since 2003, will be exhibiting at PMI Global Conference offering the First Business Agility Software for the Enterprise. Providing a holistic view of your organization, CORAS allows people at every level to work with increased speed and efficiency. By freeing data and streamlining processes, CORAS facilitates the C-level to make decisions with near real-time data, teams can work autonomously, and work and tasks can be scheduled and tracked. 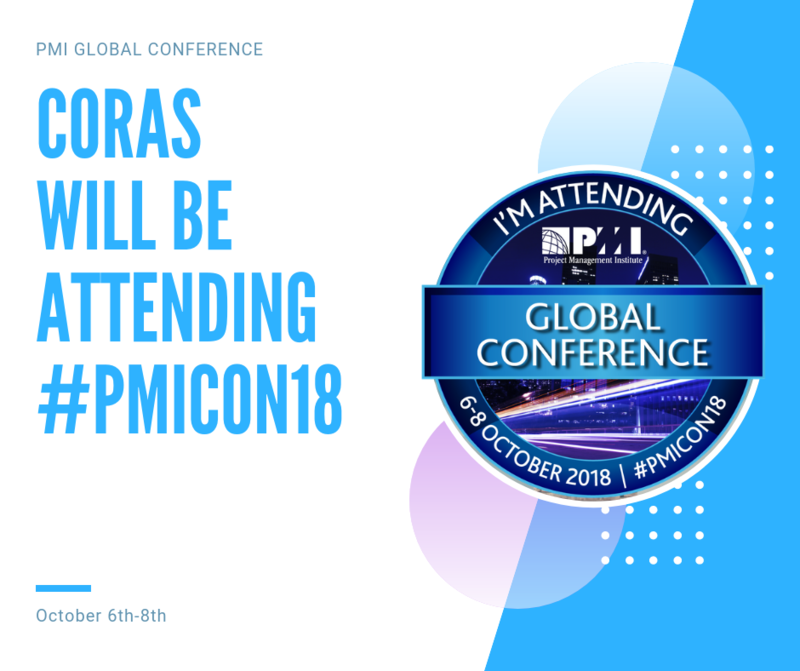 CORAS will be featured at Booth #621 at the PMI Global Conference, Los Angeles Convention Center, October 6-8, 2018 – West Building 1201 S. Figueroa Street, Los Angeles, California. The PMI Global Conference brings together change-makers from every business arena at one event. More than ever this year, we see how being agile in business helps organizations be responsive and stay competitive. The theme encourages us all to "Be a Champion of Change;" for CORAS that means facilitating agility at all levels of the organization, from the Enterprise to teams and program management. “To be competitive today, leadership needs to put their egos away and implement agile practices that facilitate the flattening of hierarchy. No more stop-gaps between management levels; information silos waste money and time. CORAS software gives you the holistic view that you need to run your business,” said Moe Jafari, CEO of CORAS. With clients ranging from corporate to non-profit organizations and the Federal Government, CORAS is an adaptable software solution for your business. Championing real world applications for business agility, CORAS is disrupting business-as-usual by creating a solution that takes the place of multiple software programs and combinations. Working independently or in tandem with clients’ existing programs, CORAS provides aggregated data, iterative processes, reporting, mind maps, apps, and transparency throughout users’ organizations. CORAS offers solutions in mid-market and enterprise level companies, including a flexible foundation for running your business; giving managers, project managers, and other stakeholders the tools they need to effectively manage their projects. This core work management functionality is supported by a wealth of other key features, including BI/Analytics and Process Improvement. CORAS additionally offers instructor-led training, as well as self-service, learning centers, online forums and other optimal resources. To learn more about CORAS, contact us at https://www.coras.com/solutions/enterprise or (703) 797 1881 #41.